Mary M. Mitchell delivers one consistent message: Social, presentation and communications skills are important elements of personal and professional success. Ms. Mitchell has written 9 acclaimed books, which have been translated into 11 languages. Her print newspaper work includes a nationally syndicated column, “Ms. Demeanor” and the “Nice Matters” column for The Seattle Times. Online, she writes “Modern Etiquette” for Reuters. Ms. Mitchell is an on-camera and live-radio personality. She was co-host of “Nice Matters”, a weekly commentary on manners broadcast by the Comcast network, as well as three, hour-long programs about business and social etiquette for major PBS affiliates. She has appeared numerous times on major-network morning shows. Ms. Mitchell also brings her message to the public as a speaker and keynoter. Ms. Mitchell has lived and worked on four continents. She became a certified Zumba and Aquafit instructor after age 50. Since 1989, The Mitchell Organization has worked with hundreds of clients to develop targeted communications skills, customer-service and employee-performance programs, and etiquette-based professional training for individuals. In collaboration with select professionals, Ms. Mitchell has developed customized programs to improve internal and external human relations for a variety of organizations in business, government and academia (click on client list). Her clients have developed greater presence and honed their interpersonal skills, which results in increased productivity and contributes to better bottom-line results for the organizations they work for. Ms. Mitchell’s work in customer and client service has met with particular acclaim from multinational organizations in the fields of medicine, academia, science and in business. 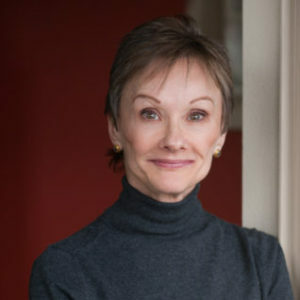 Whether the issue is multicultural etiquette, corporate and professional presentations, entertaining, public speaking, customer service, or work-life balance, Ms. Mitchell garners rave reviews for her no-nonsense, highly personal approach to navigating the realities of the twenty-first-century workplace.